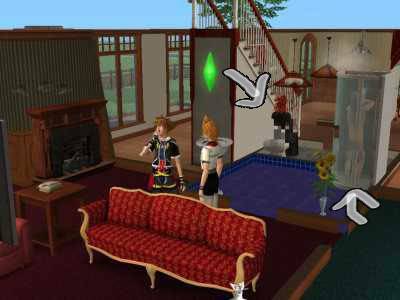 So The Sims 2 is fun. I downloaded some... I mean.. hell loads of Kingdom Hearts skins. Did some stuff with it. Took the pictures about few weeks ago. Dunno what made me to do this. 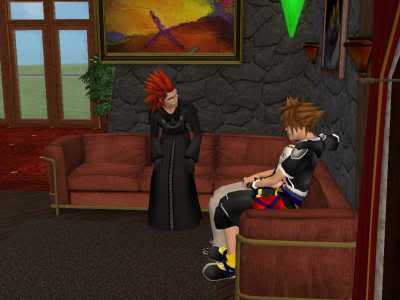 Sora is talking about maths :D Lol. How hateable. 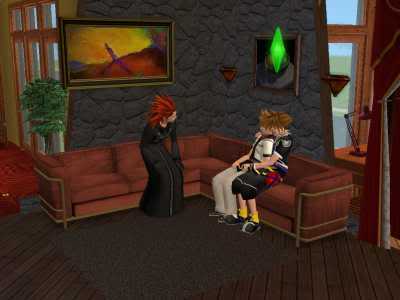 I needz massage too, Roxas. It's a family hug btw. They're room mates so they can't make out or anything. 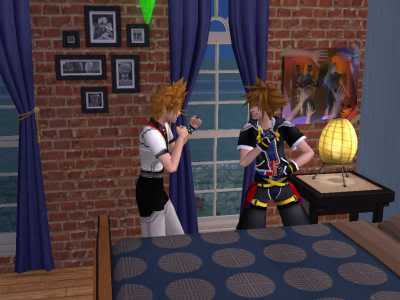 This... somehow looked wrong... Like... where did Sora's head go...? 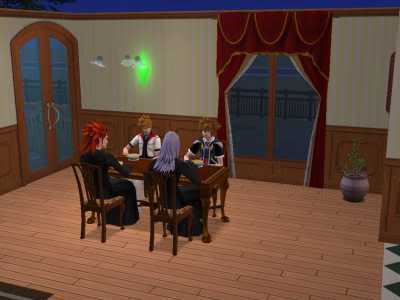 It starts getting a bit weird from here but still rated G.
Axel is a major fan of Sora x Roxas. 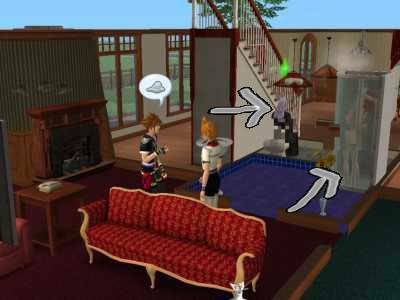 This time Axel is pooping with his coat on and Riku is taking a shower. lol o.o the weirdness of eragon. its totally better than to ask them if you can borrow them.